Summer is for slowing down and enjoying the outdoors and time together as a family. I’ve found that it can also be stressful if you’re always rushing around trying to gather things for the activity for that day. 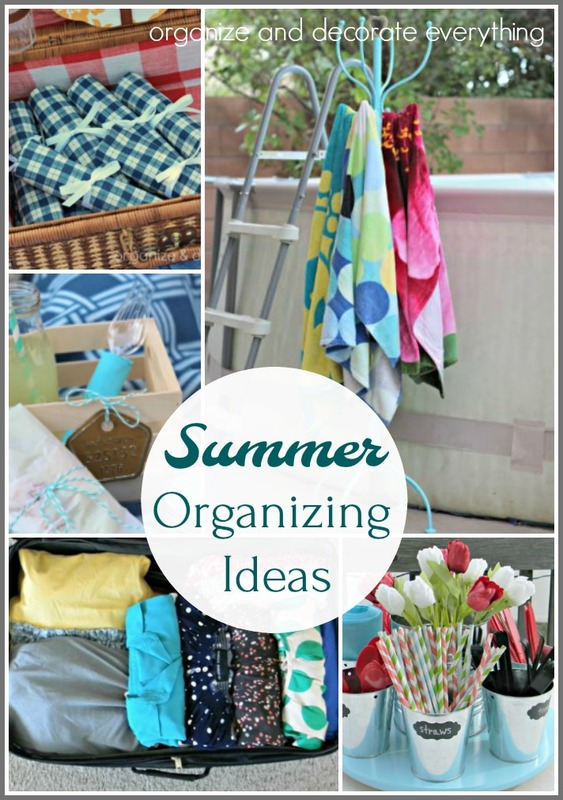 I wanted to share with you some of my Favorite Summer Organizing Ideas. Some are quick and easy and some take a little more prep but they are all worth the time saved in the long run. 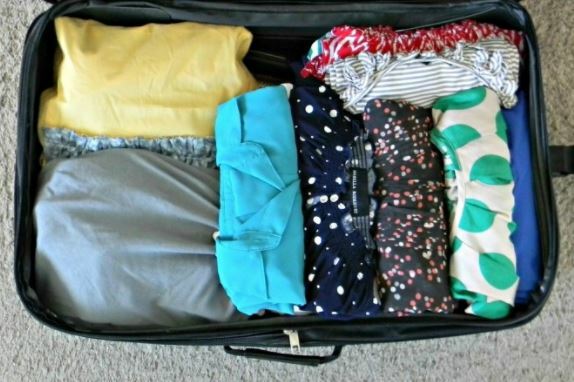 Packing for a Trip – I’m sharing my tips and tricks for packing as efficiently as possible and on saving time unpacking once you arrive at your destination. 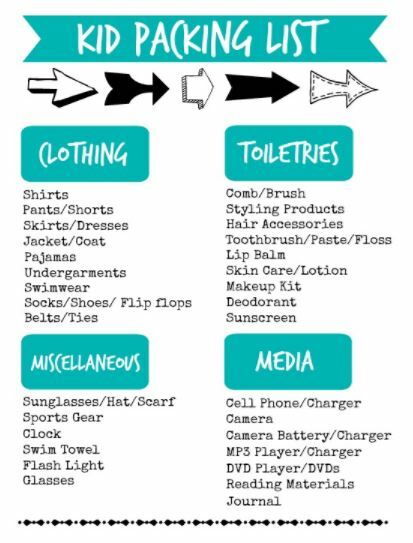 Kids Packing List Printable – Packing the whole family can be such a chore and take forever. If you have tweens or teens give them a list and have them pack themselves or give it to your spouse and have them help. 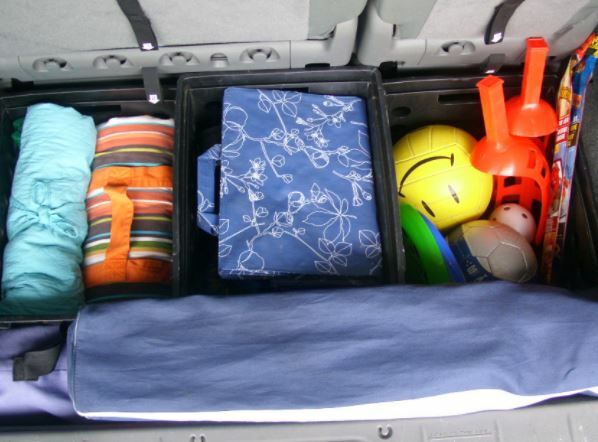 Organizing the Trunk – Have the necessities ready for a day at the park, food and water for road trips, and things you need in case of an emergency. 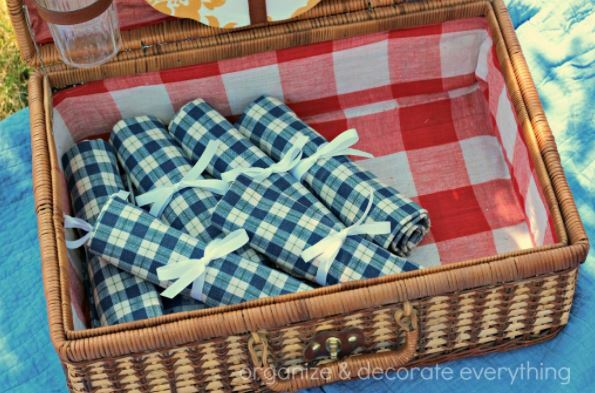 Picnic Utensil Carrier – I like to have the picnic basket ready for impromptu picnics. 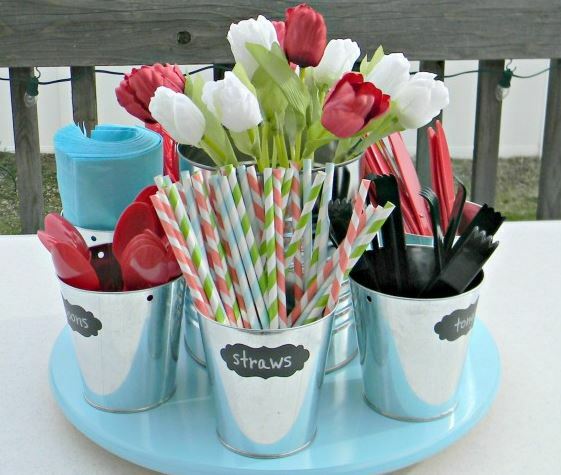 These utensil carriers were easy to make and a great addition to the stocked picnic basket. Individual Picnic Crates – Sometimes it’s easier to make individual lunch crates for an easy picnic at the park. 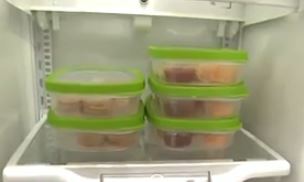 Prepare lunches, stick in the fridge, then grab and go. 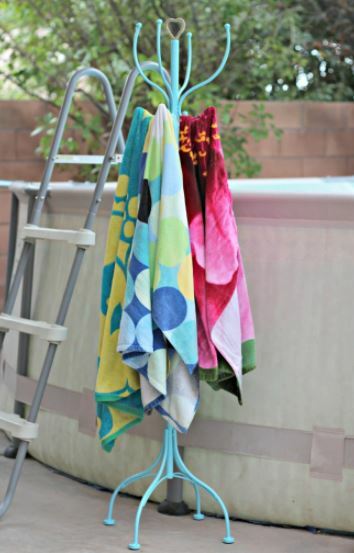 Pool Towel Rack – We’re renting our house so I can’t make anything permanent to hang the towels on. This was a good option for drying and holding the pool towels. 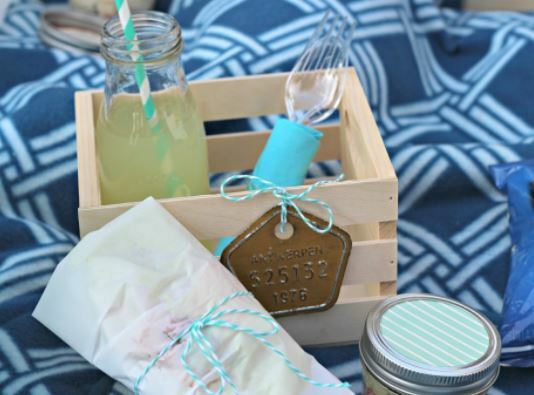 Backyard Picnic Caddy – You can save so much time by having things ready beforehand especially when it come to things you use a lot. Outdoor dining happens almost every night in the Summer so I keep this full of supplies. 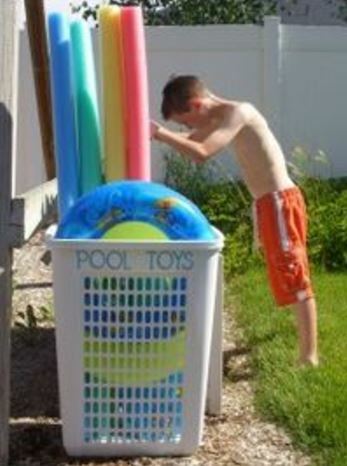 Organized Pool Toys – Pool toys can be a pain to store and keep organized. I have a couple ideas I’m sharing in this post. 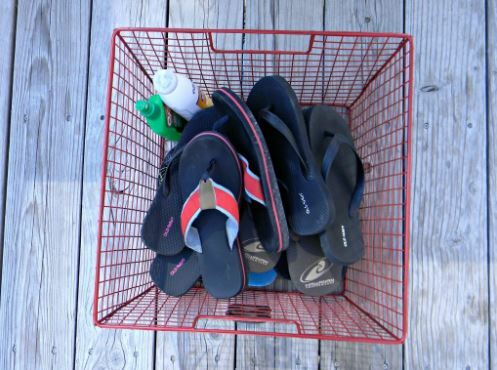 Flip Flop/Shoe Basket – We don’t wear shoes inside the house but it’s usually too hot to walk on the deck and patio without shoes, so this basket sits by the back door. Just remember to keep it in the shade so the shoes don’t get hot. Kitchen Cup Organizer – When the kids are home from school I swear they use a new cup every time they get a drink. That makes for a lot of cups around the kitchen and everywhere else. 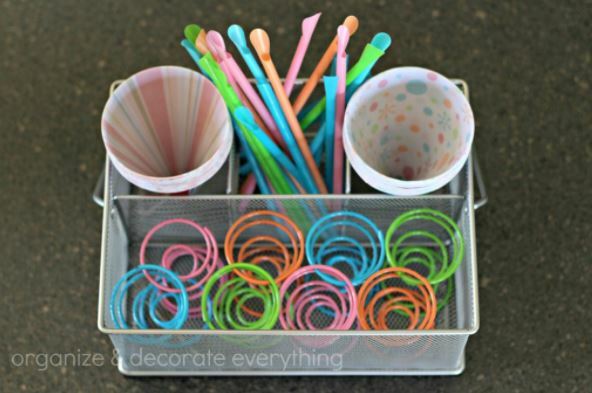 This organizer has been the answer to keeping cups organized and contained through Summer and everyday. Sno Cone Caddy – I keep this handy for a cool treats. It’s easy for the kids to help when everything is together. 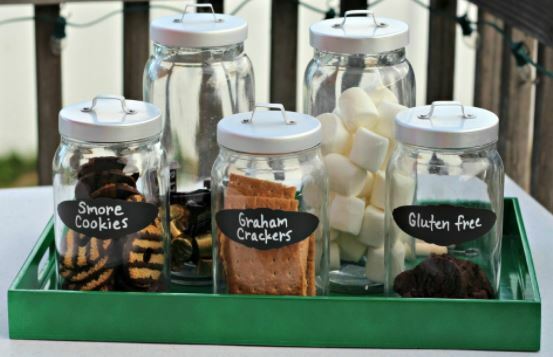 S’More Tray – Dessert on most Summer nights is usually S’mores for us, so I like to keep this tray fully stocked and ready for a fun family treat. Summer Kitchen Strategies – In this video from one of my Studio 5 segments I share more great ideas to make your Summer easier when it comes to meals and snacking, and the supplies you need. I haven’t watched this video for almost 5 years and there’s some pretty good ideas, if I do say so myself. 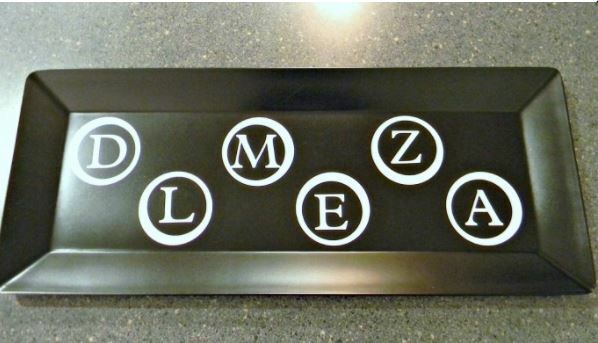 Do you have some great ideas to help your family stay organized in the Summer?